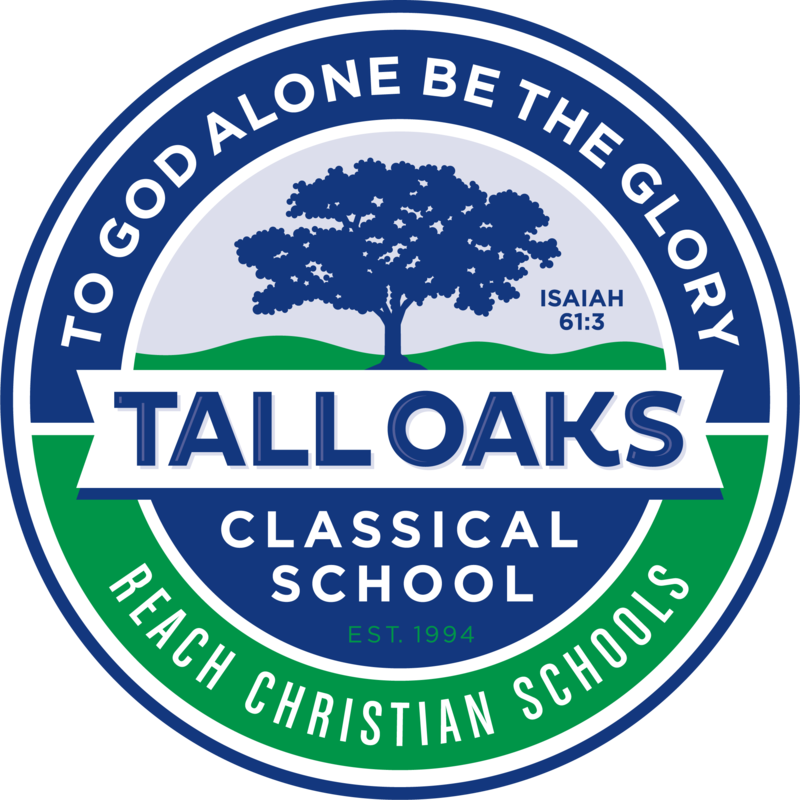 Upper School students receive a rigorous college preparatory academic program that integrates the word of God and biblical principles throughout the curriculum. The comprehensive Christ-centered program includes over 225 honors and college preparatory classes as well as nine advance placement courses. In every grade students take Bible classes and memorize Scripture so that God's word is imprinted on their hearts and will guide them throughout their lives. Students develop an understanding of God's created universe and the ability to reason mathematically. They also read and develop an appreciation for fine classic literature, learn to communicate clearly and effectively in order to share Gospel truth, develop critical thinking skills in order to exercise discernment, and study how God's sovereign hand has guided mankind throughout history. Core academic subjects include Bible, Math, English, Science, and Social Studies. Core classes are supported by and enhanced through our Career Pathway programs and a wide range of extra-curricular activities that appeal to individual student interests. Overviews of the core subjects are available through the website pages linked below. 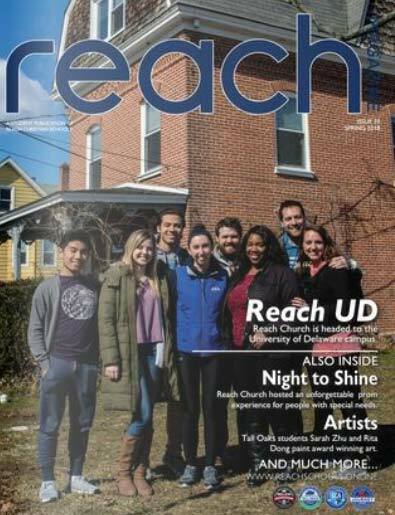 Red Lion's school profile, course catalog, and scheduling guidelines are also available below. The purpose of the Red Lion Christian Academy Bible department is to facilitate the spiritual life and atmosphere at RLCA by promoting and encouraging values consistent with the Word of God; to implement, review and evaluate instruction, programs and activities as they relate to the student’s relationship with God; and respond to the spiritual needs of the community. Spiritual Formation is a major goal at RLCA. We define Spiritual formation as the life long process of being conformed to the image of Christ. Spiritual formation is a holistic process that involves growth in relationship and knowledge and is worked out through our experiences with God and his Church. Spiritual formation takes place through the inspiration and work of the Holy Spirit and is rooted in the Word of God and is nurtured and developed in the Body of Christ. Spiritual formation is multi-faceted growth process and is nurtured in every class and program but our primary purpose is to glorify God through the teaching of the Word of God. The Bible is the inspired Word of God that is living and active today (II Timothy 3:16-17). The Bible is foundational for moral and spiritual development, providing the framework in which a student can be transformed by the Holy Spirit (Romans 12:1-8) into a fully devoted follower of Jesus Christ (John 15:7-8). Red Lion Christian Academy takes the Bible seriously by requiring that every core subject demonstrate Biblical integration in its curriculum. The Bible program at Red Lion Christian Academy provides a unique role in this process by acknowledging that God has integrated academic proficiency with life transformation. Everything that a human is and does can be classified as either thinking, feeling, or doing (intellect, emotions, actions) – or the combination thereof. Ultimately the goal is that the student will grow in understanding of biblical truth so that he/she is able to actively engage the biblical text, rightly discern its meaning, and properly apply it to his/her life. Red Lion Christian Academy’s Mathematics Department strives to provide an educational experience in mathematics that helps students prepare for successful roles in an ever changing society through a hard work ethic and Biblical worldview. To support this mission the department is committed to professional development, updating the curriculum, making real world connections, and incorporating technology. Faculty will employ an assortment of assessment techniques, provide a variety of teaching styles, and maintain an intervention plan for students that might be having difficulty. Students will be challenged to develop skills in analysis, reasoning, and creativity as they gain knowledge of mathematics. 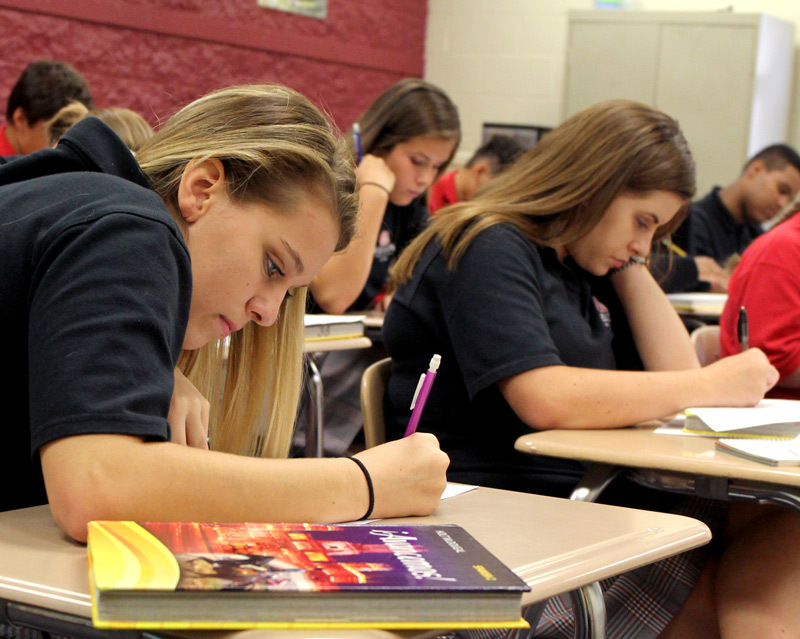 The Red Lion Christian Academy Mathematics Department is committed to developing students' unique gifts and abilities to their highest potential for the glory of God. The study of the English language and literature of all types is essential to the formation of students’ communication and thought development. Effective communication is an essential life skill, and one goal of our curriculum is to teach students how to clearly communicate in both the written and oral forms. For this reason, the examination of grammar rules and procedures, parts of speech, vocabulary, and writing techniques compose a significant portion of our curriculum. The study of literature encourages students to think critically about what they have read and to evaluate how this compares with God’s truth. Reading a variety of literature also exposes students to worldviews that differ from a Biblical worldview and equips them to discourse intelligently about topics and beliefs presented. As Christians, we are called to be in the world but not of the world, and a vital component to this is becoming knowledgeable about the thoughts and ideas of the world while always evaluating these based on God’s truth. Finally, as students learn to analyze literature, they also gain the skills necessary to better understand the Bible, God’s word to us. Red Lion Christian Academy’s Science Department will provide students with the opportunity to investigate God’s creative design through hands-on methods of learning and help students gain an appreciation of science as a process. By providing an interactive, intellectually stimulating classroom environment, students will have opportunities to learn in ways they will benefit from. Students will be able make connections between science and real life situations. Red Lion Christian Academy’s History Department strives to instill a working knowledge of the historical context of our world to enable the students to impact their families, communities and country for God’s Kingdom. Furthermore, we desire to affirm God’s sovereign control of all events for completing His work. In addition, emphasis will be placed on directing the students beyond knowledge to higher level analysis through the development of critical thinking skills. The mission of Red Lion Christian Academy’s Spanish program is to teach students to communicate in Spanish with the people who speak it and to understand their culture. The program strives to present students with a great variety of vocabulary words and cultural topics and traditions to enable students to live amongst and interact with Spanish-speaking people as well as to fulfill God’s great commandment to tell others about the good news of Jesus Christ. The Media Arts Program offers digital photography, black and white film photography, video production, desktop publishing and yearbook. The new photo and video studio is situated in the School of Performing and Media Arts. It is equipped with lights, tripods, video cameras, and DSLR cameras. Students use one of the ten brand new computers in the editing lab. Editing is done on the Adobe Creative Suite programs. Nearby is a dedicated darkroom with seven enlargers to develop and print from 35mm black and white film. A sound studio will be coming in the future.